Growing up in a remote, pristine valley in Southern Nepal, Mamata, used to skip school and go play by the river running beside her village. Full of mischief, she was always getting into trouble. It was all fun and games until she failed first grade. Then, her mom sat her down and told her, "I can't give you a future, but I can give you an education." 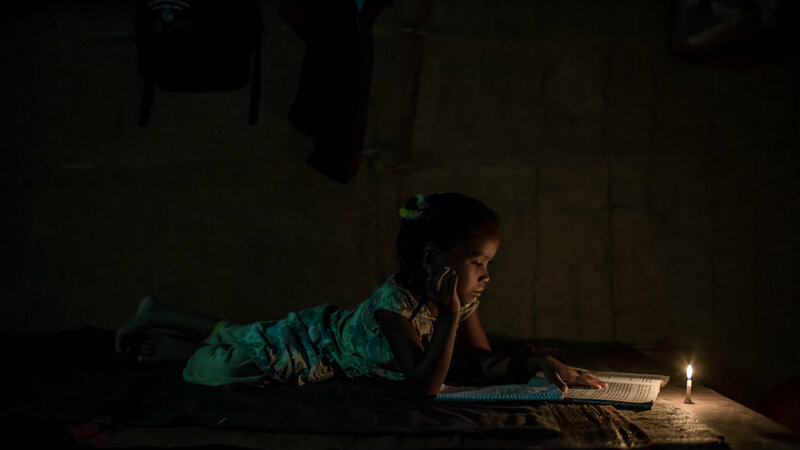 She realized that even though her parents had nothing, they were investing in her education and she couldn't waste it. That's when she started to take school seriously and work hard. "I can't give you a future, but I can give you an education." But, life wasn't always easy. Mamata's family is considered Dalit—the lowest caste in Hindu culture marginalized as untouchable. Though she was treated as an equal among friends and family, outside of that cultural stereotypes reigned. When her family was invited to weddings, they had to eat separately from the rest of the guests because people thought if they touched the food it would become impure. "It made my heart cry," she remembers. "It made my heart cry." At 16 she met the love of her life. They began exchanging love letters. She used to see him when she would cross the local bridge to get her clothes stitched. His house was on the side of the road. Fifteen years later they have two boys and one daughter together. After they married, her husband started looking for other options for work. One day he called her and told her he'd been accepted to go oversees for a job and just got his visa. Upset that he would leave his family she told him, "If you invest in your soil, it will grow." She promptly cancelled his visa. "If you invest in your soil, it will grow." Still their options in the village were limited. She dreamed of opening up her own shop like she saw in other towns. Women in the village had to walk two hours to get supplies like salt or oil. But, she didn't have the startup capital. Then, one day a community empowerment worker, Ratna Rawat, arrived. She brought the women of the village together and starting teaching them about animal husbandry, farming, leadership, literacy and small business development. She gave the group of women a startup grant to make loans to women in the group to start their own businesses. Mamata saw her opportunity. She asked for a loan of 2,000 rupees (about $20 USD). With that she purchased her first supplies in a nearby town walking two hours there and back to get them. The first day she sold 50% of her supplies which inspired her to keep going. But, still people were reluctant to buy or eat her food and water because of the stereotypes overshadowing Dalits. After another training, her friends began to realize this way of thinking was wrong. She invited them over to her house and served all 27 members of the group noodles. Eventually, with the profits she earned she was able buy a sewing machine for 16,000 rupees—more than she ever thought she'd have. Her success encouraged other women to start their own businesses as well—including poultry farming, goat rearing and another shop up the hill. They support each other and share products when one runs out. Before she used to think it was harder for girls to establish themselves, but after she received training she was confident she could become an entrepreneur. She has even bigger dreams for her daughter. She tells her, "Don't be oppressed because someone tried to opress you. We too have rights."